In racing, there are two reasons for collecting weather data. Density altitude is used to describe the density of the air using temperature, barometric pressure, and relative humidity. In a hot and humid location, the density altitude may be much higher than the actual altitude. Why does it matter? When the density altitude is higher than the actual altitude, engine performance may be decreased. 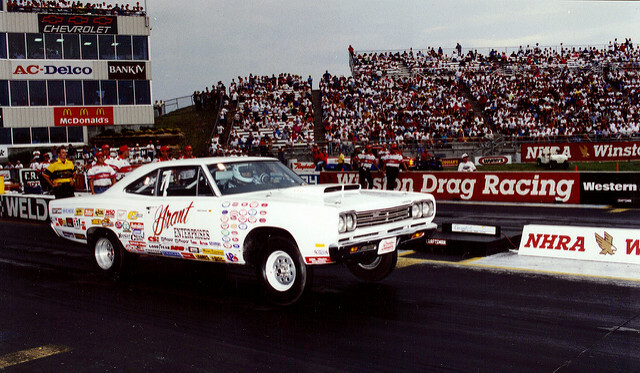 Inversely, when DA is lower there is more oxygen available resulting in faster cars and better ET’s. 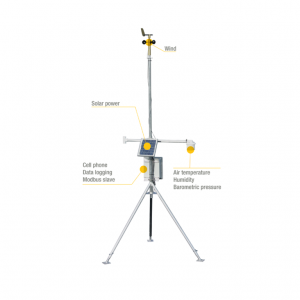 An on-site weather station can provide wind speed and wind direction measurements. These are important considerations for vehicle control during front-wheel lift and chute deployment. Wind conditions may also have an affect on ET. Heat index and globe temperature are measurements used to determine heat stress on event participants and the public. Heat index and Humidex, calculated using temperature and relative humidity, are applicable to shaded areas. Wet-bulb globe temperature is used for areas where people are exposed to the sun and other heat sources. Both these elements help ensure that heat stress and heat stroke are avoided. Dyacon lightning detection can provide early warning and advisory input to safety managers. Dyacon provides preconfigured stations that can be customized to fit any needs.